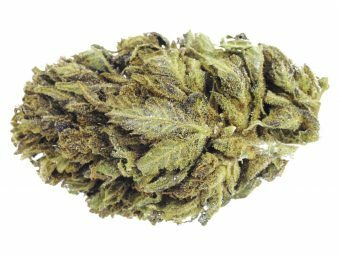 Gorilla Glue #4 is a hybrid weed with sativa-dominant. It is famous for its high THC content, with THC content up to 24%. However, it has a low CBD which is about 0.1%. Gorilla Glue #4 has a strong aroma of coffee and chocolate. It tastes sweet and earthy. Consumer who looks for chill effect can consider this weed. It is also useful for medical and recreational users.